The Swiss was very superior to the South African, who won 6-0 and 6-4 in one hour and 25 minutes. He will play in the semifinals against the Canadian Shapovalov. 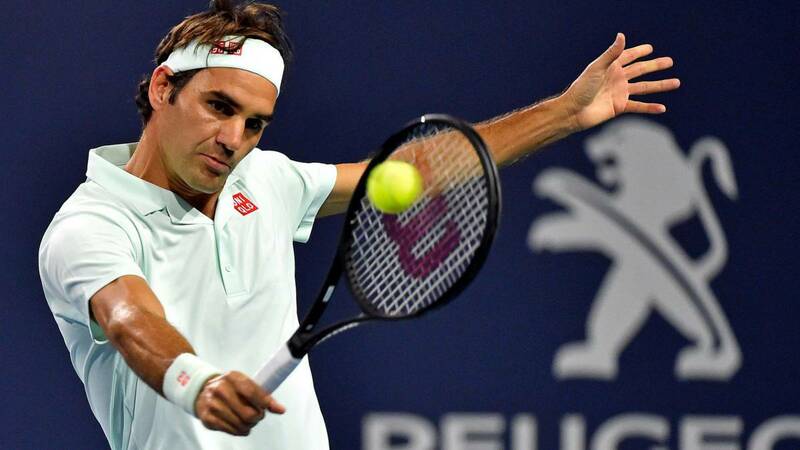 The Swiss Roger Federer, fourth favorite, made the predictions come true and went into the semifinals of the Miami Open with a 6-0, 6-4 win over South African Kevin Anderson, sixth seed. of the quarter-final phase had no more history than to see another exhibition by Federer, who at 37 years old dominated Anderson in all facets of the game and it took barely an hour and 25 minutes to be closer than he could be his fourth title in Miami. The penultimate test to be overcome by the Swiss will be before the Canadian teenager 19-year-old Denis Shapovalov, twentieth favorite, which in 2 hours and 15 minutes of play defeated by 6-7 (5), 6- 4 and 6-3 to the American Frances Tiafoe. The duel between Federer and Shapovalov, 18 years younger, will be the first between both players. 1 111111 "The important thing now is that I got the victory I wanted to continue in a tournament that is so special to me, and more with the premiere of the new facilities," declared Federer. "From the duel with Denis I will think tonight, now I am happy with the new victory and to do it on the Hard Rock Stadium track ", added. Federer swept Anderson with his devastating tennis from the back of the court, an impeccable rest, unrivaled rights shots for the South African tennis player 31 years, which yielded 5 times his service for only one of the Swiss. Al end, Federer won 68 points for 49 of Anderson, who lost for the sixth time in the 7 that has faced the Helvetian.